Super Savvy Vegan came to life in February 2018 when I was celebrating enjoying being vegan for six years. I’d been vegetarian 27 years previously since I was 12. Our family of 5 is a mixture of vegan and veggie. I saw a need for a money saving and cash creating blog which specifically catered to those on a plant based diet and living the whole lifestyle for many that goes with this. 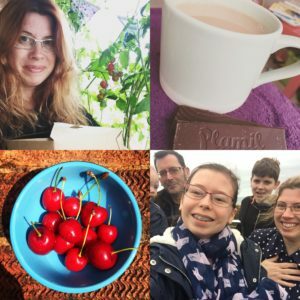 So whether you’re trying to be Super Savvy to save money or create extra cash or just make ends meet, subscribe to my newsletter to be the first to know about fantastic money-saving tips, discounts, advice, ideas and the fabulous competitions I’ve got lined up to win some of your favourite vegan goodies! Check out my work with me page if you’d like me to promote your vegan products or services.